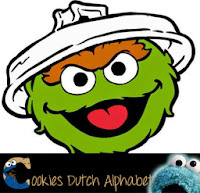 Gember (ginger) starts with the letter G. Me like it, especially when it is put in to a cookie! Gemberkoekjes (ginger cookies) are very popular in the Netherlands. It goes really well with coffee or tea. 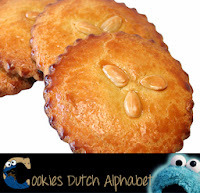 Another favourite cookie of mine is the gevulde koek (filled cookie). Inside the soft exterior with a crunchy crust and an almond on top you find a soft almond paste filling… oh me mouth is watering already! Me need to talk about other Dutch words before me drool all over the computer keyboard. 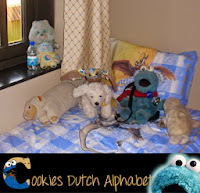 In the Netherlands we like the word ‘gezellig’ (cozy or this is nice being together). Especially when it is winter they like to make it extra cozy with candles and hot chocolate milk. 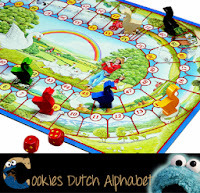 Playing board games, like Ganzenbord (game of geese), or going out with the family is very cozy too. As long as friends or family are happy together it does not matter what you do. 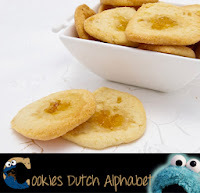 And a cup of coffee with a cookie is also gezellig. 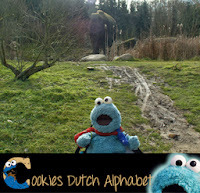 Something that is gezellig to do is going to the zoo. Me went to GaiaZOO (Hey, a zoo that starts with the letter G!) this year with Berry where me met Snuffie. Me still sad it was not really him, but hey, it was nice to meet this ‘Snuffie’. Also me saw giraffes there. 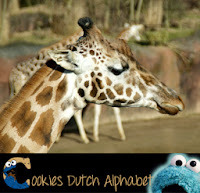 Did you know in Dutch this gorgeous long necked animal is also called a giraffe? You just write it differently: giraf. 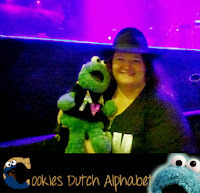 Last but not least me want to share a Dutch saying with 2 important G-words: Doe maar gewoon, dan doe je al gek genoeg. In English we would say: Just act normal (gewoon), than you will act crazy (gek) enough (genoeg). The Dutch have a sober, down to earth attitude and you will not see them act all weird. If they do, others will point this out to them, calling them names, saying you have to grow up and stuff. If you are special or great at something, there are always others to put that down. They only time the whole nation is getting crazy is when the Dutch compete in major tournaments, like the FIFA World Cup. My friend Berry always says that she is a little crazy and that is normal for her. Me is glad though… if she had been boring and normal and not willing to act a little crazy then me would not have a blog or seen all the things me has seen so far. We are funny crazies, like in the picture at the Maroon 5 concert.